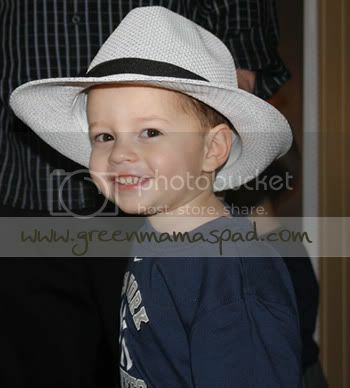 Josh looking cool in Grandpa's hat. I love his smile. Great picture. Love the hat. This is absolutely precious! Thanks for sharing! That is such a sweet picture! What a handsome dude...and what a great smile!